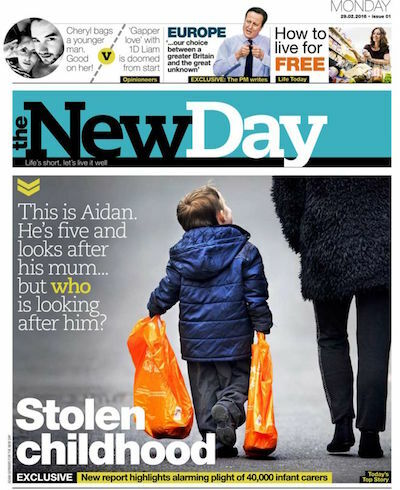 The New Day sets out its agenda on page two: "We know this can't be just another newspaper. It has to be a new type of newspaper." This sounds familiar, because the i similarly claimed to be "not only a new paper, but a new kind of paper" when it was launched in 2010. The New Day's editor, Alison Philips, writes on page five: "We want to make sure you are aware of the important things going on in this frantic, modern world" and again this echoes the i, which described itself as "designed for people with busy, modern lives... it's your essential daily briefing." The i has successfully positioned itself as a concise digest of news and comment, though The New Day - judging from the launch issue - is dominated by features and lifestyle articles rather than news. Children, shopping, relationships, and animals are the dominant topics, implying a female target demographic. (The editor, deputy editor, section editors, and most writers are also female.) There is very little political or international news coverage, and most news stories are single paragraphs. Only the features and columns have bylines; uncredited content is presumably from agencies or Mirror staff. The New Day looks appealing, and has high production values: it has full colour throughout, and it boasts on page two that its paper is "top quality, snow white and stapled". 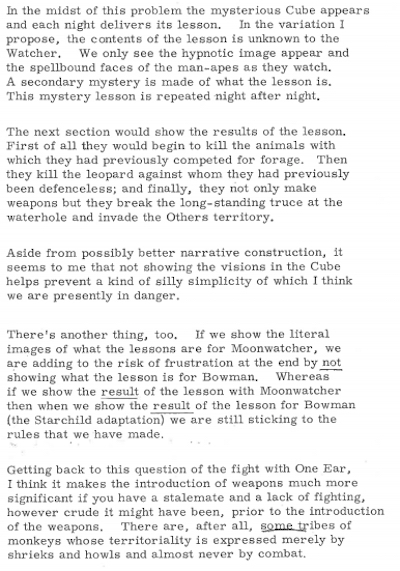 Its content is quite confusingly organised, though. Pages two and three have "today's news essentials" but there are more top stories in a "three minute update" on page twenty-four. Similarly, sports coverage is split over two sections: one on pages sixteen and seventeen, and another on pages twenty-six and twenty-seven. Also, the first lead story isn't very promising: a report "seen exclusively by The New Day" (page six) was actually published online a week ago. (The report, Invisible & In Distress, appeared on the Carer's Trust website on 23rd February.) This is more like churnalism than journalism, and I wonder why a real exclusive wasn't available for the launch issue. 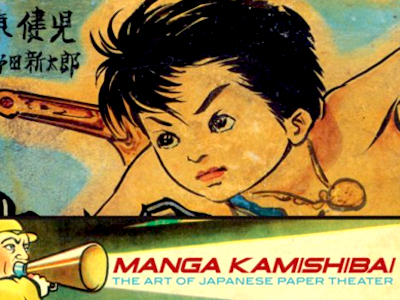 Manga Kamishibai: The Art Of Japanese Paper Theater, by Eric P Nash, is the first book about the history of kamishibai, the Japanese illustrated performances that were a popular street entertainment in the 1930s and 1940s. The book includes an introduction by Frederik L Schodt, author of the excellent Manga! Manga!, the first English-language study of Japanese comics. Kamishibai involved a series of illustrated boards displayed consecutively in a 'butai' (wooden frame). 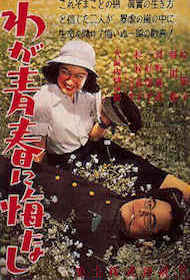 Each board depicted the action of a particular scene, though there were no captions or speech bubbles: the story and dialogue were improvised by a 'kamishibaiya' (narrator, similar to the 'benshi' who narrated silent Japanese films). Nash's fascinating book features many rare and evocative reproductions of kamishibai boards. The illustrations were sometimes inspired by Hollywood, such as an alien resembling those from This Island Earth (Demon Castle Of Outer Space). Kamishibai was also used as a propaganda tool during World War II, and after the American occupation it even dealt with taboo subjects such as the Hiroshima bomb (Genbaku No Ko). Kamishibai's most famous character, Ogon Bat (Golden Bat), had a significant influence on subsequent American popular culture, as he was "one of the world's first illustrated super heroes". 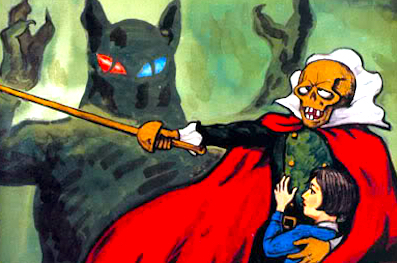 Golden Bat, created by Takeo Nagamatsu, wore a hero's cape, though he had a skull for a head. The book's jacket folds out into a poster of this caped hero fighting his arch enemy, an evil emperor: archetypes that have recurred throughout superhero comics and animation ever since. 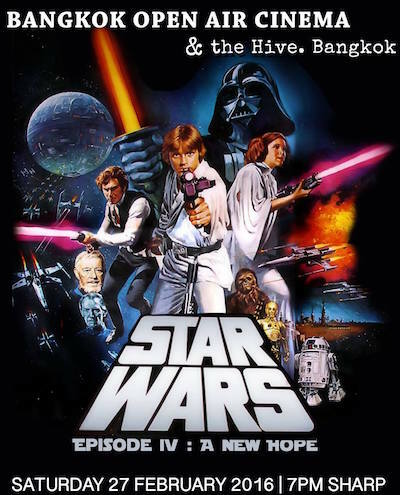 Bangkok Open Air Cinema Club's inaugural screening in 2014 was Star Wars IV, and they will be showing the film again tomorrow. The film, directed by George Lucas, will be shown on the roof of The Hive in Bangkok. The NCPO has produced a wrap-around advertising supplement in today's Bangkok Post, setting out its plans for "the Hope, Happiness & Harmony of the people". The same supplement was included in The Nation on Tuesday. 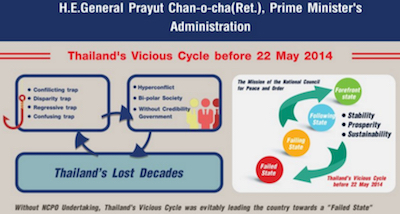 Page one begins with an illustration of "Thailand's Vicious Cycle", claiming that the junta prevented Thailand from becoming a failed state. 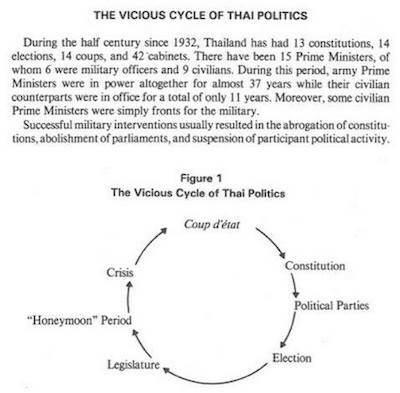 Chai-anan Samudavanija's book The Thai Young Turks (1982) included a very different model of Thailand's vicious cycle, which features a word entirely absent from the NCPO's supplement: 'coup'. The supplement also includes a guide to the differences between "Pseudo-Democracy" and "Genuine Democracy", effectively a criticism of Thaksin Shinawatra and Pheu Thai's policies. To say the least, it's profoundly ironic that a military junta would presume to explain the concept of democracy. Finally, a list of "11 Policies" features only three policies, ending with "access to gover" [sic.] and two empty bullet points. The supplement folds out into a poster showing a hierarchical diagram of the NCPO's agenda, though it's so dense, and printed in such a tiny font size, that it's impenetrable. The Bangkok Post's editor, Pichai Chuensuksawadi, has written a note in the newspaper about the NCPO supplement. He explains that its inclusion was a commercial decision: "The advertisement that wraps today's newspaper, placed by our advertising department, does not represent the Bangkok Post's editorial position." 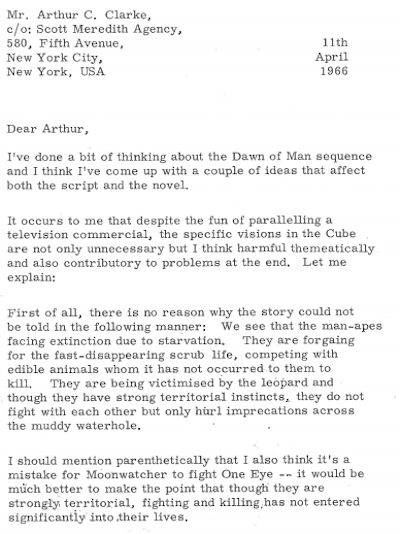 "I've come up with a couple of ideas..."
The Smithsonian's National Air & Space Museum has acquired the papers of Arthur C Clarke, who died in 2008. Last year, his correspondence, notes, and manuscripts were transferred from his home in Sri Lanka to the Steven F Udvar-Hazy Center in Virginia. 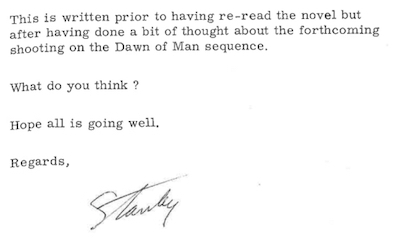 The archive includes a three-page letter to Clarke written by Stanley Kubrick, discussing their work on the novel and film 2001: A Space Odyssey. This week's issue of The Telegraph is the final edition of the weekly version of The Daily Telegraph and The Sunday Telegraph. The conservative tabloid newspaper was established in 1998 as The Weekly Telegraph; its title dropped the definite article in 2005, and it became The Telegraph in 2011. 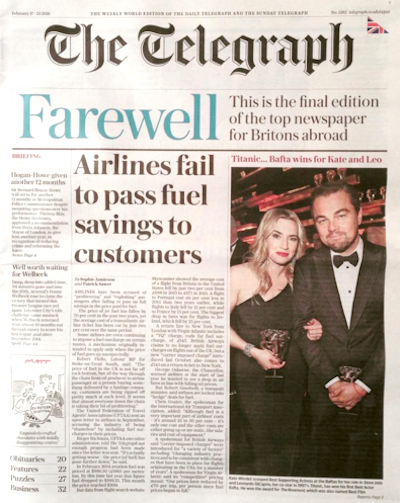 Of course, the closure of The Telegraph is another example of the recent decline in print journalism. Next month, two British national newspapers - The Independent and The Independent On Sunday - will also cease print publication. The Telegraph's liberal competitor The Guardian Weekly, founded in 1919, is now the only weekly British newspaper for an international audience. Calendars featuring photographs of Thaksin Shinawatra and his sister Yingluck were banned last month by the governor of Roi Et, a province in northern Thailand. There have been similar reports in other areas of the country, and police prevented Yingluck herself from distributing ten of the calendars in Khon Kean, another northern province. The calendars, available in two different versions, both feature the message "สวัสดีปีใหม่ 2559" ("happy new year"; 2559 is the Buddhist equivalent of 2016), above short handwritten notes from Thaksin and Yingluck. Former prime ministers Thaksin and Yingluck were both removed from power by military coups (in 2006 and 2014 respectively). 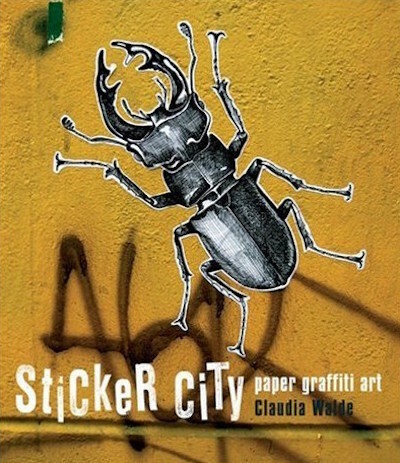 Sticker City begins with a legal notice: "The publisher and the author in no way endorse vandalism or the use of graffiti for the defacement of private and state-owned property." Despite this over-cautious disclaimer, the publisher (Thames & Hudson) has released several other books on graffiti, including Subway Art (Martha Cooper and Henry Chalfant, 1984), Spraycan Art (Henry Chalfant and James Prigoff, 1987), and Stencil Graffiti (Tristan Manco, 2002). 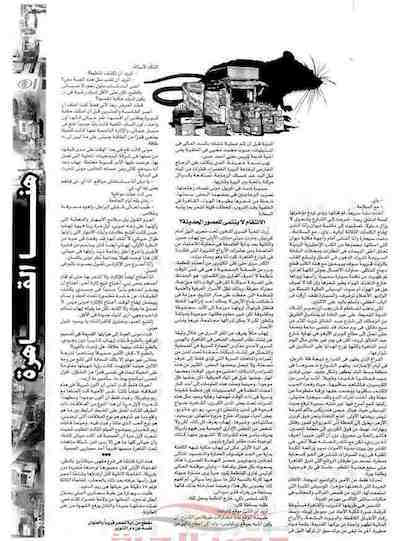 Egyptian author Ahmed Naji has been sentenced to two years in jail on a charge of public indecency, after an excerpt from his novel Istakhdem al-Haya (استخدام الحياة) was published in the state-owned literary magazine Akhbar al-Adab. 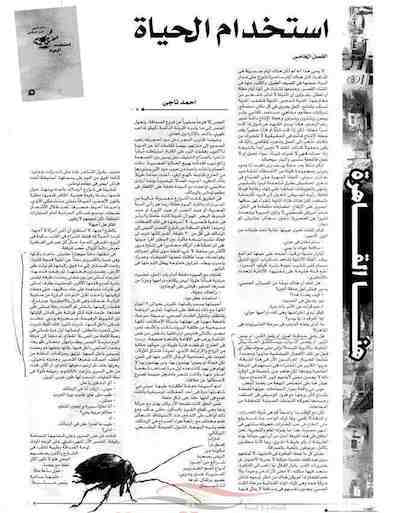 The magazine's editor, Tarek al-Taher, was fined 10,000 Egyptian pounds (equivalent to over 1,000 US dollars). The author and editor were charged in August 2014 after one of the magazine's readers complained to police that the extract (chapter five of the novel) was immoral. The charges were dropped last month, though that acquittal has now been reversed following an appeal by the prosecution. In 2009, Magdy El Shafee's graphic novel Metro was banned under the same Egyptian law. 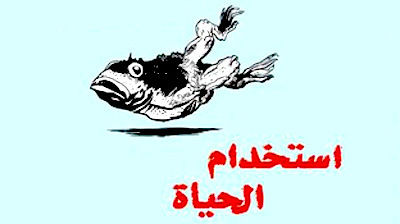 It was published in America (translated by Chip Rossetti) in June 2012, and an Arabic edition was finally published in Egypt two months later. Thailand Eye: Contemporary Thailand Art is (at least, according to its sponsor, Prudential) "the first and most comprehensive publication on the Thai contemporary art scene." Steven Pettifor might disagree: his Flavours (2003) was a turn-of-the-century guide to contemporary Thai art. 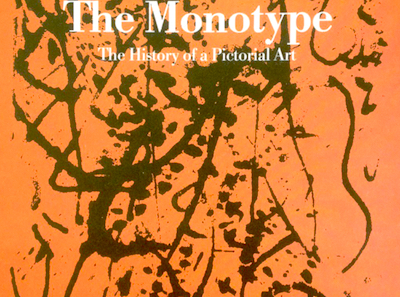 Thailand Eye may not be the first publication on contemporary Thai art, though it is the most comprehensive, at almost 400 pages. While Flavours profiled only twenty-three artists, Thailand Eye features seventy-five. 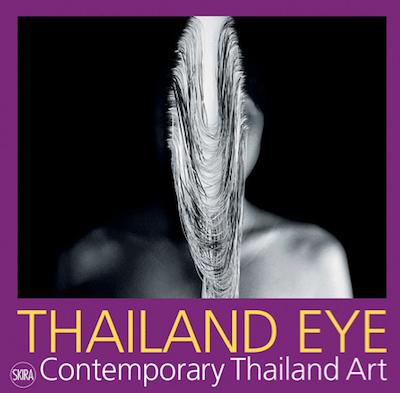 Thailand Eye is primarily a visual resource, with little analysis or criticism, though it has a detailed appendix listing the previous exhibitions of each artist. In contrast, Flavours has no such lists, though it includes double-page essays on each artist. The artists profiled in Thailand Eye include Araya Rasdjarmrearnsook (images from her video The Class, which was shown at Crossover and Dialogues), Anupong Chantorn (his painting Perceptless and other works painted on saffron robes), Manit Sriwanichpoom (This Bloodless War, his consumerist parodies of Vietnam War photographs), Prasert Yodkaew (his installation Angel), Thunska Pansittivorakul (stills from his films Middle-Earth, KI SS, This Area Is Under Quarantine, Reincarnate, Supernatural, and The Terrorists), and Kosit Juntaratip. Of the seventy-five artists, twenty-four were selected for a Thailand Eye exhibition at the Saatchi Gallery in London last year. (The exhibition will be shown at BACC in Bangkok from 18th March to 7th August.) The exhibition was curated by Serenella Ciclitira (editor of Thailand Eye and other books in the Eye series on Asian contemporary art), Nigel Hurst (director of the Saatchi Gallery) and Apinan Poshyananda (Permanent Secretary for Culture), though the twenty-four artists were ultimately approved by the Ministry of Culture as the exhibition is part of the Ministry's Totally Thai project. As a result, some of the more provocative artists in Thailand Eye were not selected for the exhibition. 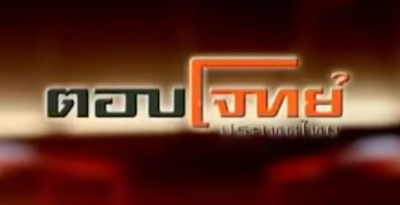 Thunska Pansittivorakul's film This Area Is Under Quarantine, for example, is banned in Thailand, so it had little chance of being included. Likewise, Montri Toemsombat's granite carving Bangkok Art & Coup Centre (a pun on the Bangkok Art & Culture Centre) would presumably have irritated both BACC and the NCPO. Kosit Juntaratip is the most interesting of the twenty-four selected artists, and the book is a rare opportunity to see photographs of his performances in which he painted with blood flowing from a vein in his arm. Sakarin Krue-On, whose installations were featured in Imply Reply, is also included. Apinan Poshyananda has curated many previous exhibitions, notably Traces Of Siamese Smile (whose 300-page catalogue acts as another broad survey of current Thai art). Plastic Dreams: Synthetic Visions In Design, by Charlotte and Peter Fiell, features 120 "landmark designs" manufactured from plastic since 1925. There are full-page colour photographs of each product, and concise essays on their design and significance. The book comes in an orange plastic slipcase designed by Edson Matsuo (which is a slight drawback for plasticarians like me). The 1930s was "the First Modern Plastic Age", due in part to the Great Depression: "The rapid expansion of plastics usage that occurred during this period was, of course, inextricably linked to the constrained economic climate of the 1930s." Highlights from this era include beautiful Art Deco appliances such as the DBH-1001 telephone (1931; which "directly inspired Henry Dreyfuss's ubiquitous Model 302"), the Kodak Baby Brownie camera (1934), and the Ekco AD-65 radio (also 1934), all made from Bakelite. Plastic's second golden age was the 1960s, when "a vast range of synthetic polymers and moulding processes were available to designers." Pop plastic products include the single-moulded Panton chair (1967; "one of the most important chairs of all time"), the Valentine portable typewriter (1969; "a quintessential Pop design that celebrated the Plastics Age of the 1960s"), and JVC's space-age Videosphere television (1970). Like Plastic Dreams, Plastics (1984), by Sylvia Katz, also includes an introduction tracing the history of plastic design, and a plates section illustrating products chronologically. Katz's book was the first history of plastics in industrial design, though Plastic Dreams benefits from larger photographs, a bibliography, and coverage of more recent products such as the Apple iMac (1998). Plastic Dreams was published twenty-five years after Katz's Plastics, and the two books reflect shifting attitudes towards plastic. Katz writes in her introduction: "This book is a celebration of plastics." She argues that plastics "make modern life richer, more comfortable and convenient, and also more fun." Her enthusiasm is unqualified, and sometimes excessive: "Plastics are truly magical because they are created by pure alchemy." Like Katz, the Fiells acknowledge the value of plastics: "they are simply one of the most important and useful materials known to man." However, they also recognise the problems plastic creates: "our use of plastics is still too often marked by wastefulness... health issues surrounding plastics should also be taken more seriously". They conclude that, "although ambivalence surrounds the use of plastics both in design and in our everyday lives, it would nonetheless be difficult to conceive of a world without them". 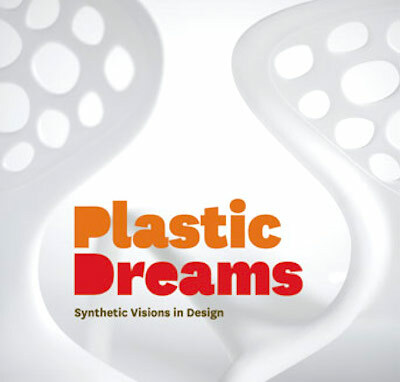 On the back cover, Plastic Dreams claims to be "the definitive guide to plastics in design." It's not comprehensive enough to be definitive, though it is the most authoritative (and attractive) survey of plastic as a design medium. The Fiells have co-written numerous design books, including Modern Furniture Classics, Industrial Design A-Z, Design Of The 20th Century, and The Story Of Design. Plastic Dreams is the first book from their independent publishing house, Fiell. "The draft charter is retrogressive..."
The Constitution Drafting Committee has announced the completion of proposed new constitution, which will be put to a referendum later this year. Meanwhile, the prospect of an election continues to recede, as the Bangkok Post noted in an editorial on 1st February: "The roadmap produced shortly after the May 22, 2014, coup promised elections would be held in 2015. A subsequent roadmap promised elections in mid-2016. That then became 2017..."
The proposal also allows political parties to nominate prime ministers who are not elected politicians, and confirms the Constitutional Court as the final arbiter in disputes over issues not covered in the charter (article 207). This replaces the vague article seven from the 2007 constitution, though the Constitutional Court's political neutrality has been repeatedly questioned, after it disqualified Thaksin, Samak Sundaravej, and Somchai Wongsawat. Needless to say, like all post-coup charters, the constitution also includes an unconditional amnesty for the coup leaders (article 270). This is carried over from the NCPO's interim constitution, and is arguably the most contentious element of the entire document. Jason Cohn and Bill Jersey's feature-length documentary Eames: The Architect & The Painter explores the life and work of Charles (the architect) and Ray Eames (the painter). The Eames' collaborative designs "did more to change the public perception of Modern design than just about anyone else in the 20th century" (Charlotte and Peter Fiell, Industrial Design A-Z). The documentary begins with the development of arguably the most influential Eames design, the plywood LCW chair (part of the Essential Eames exhibition at TCDC last year). This is the only item of furniture or product design that the film discusses in detail, though, as the focus shifts to the dynamics of the Eames' relationship and the working practices in their design office. Numerous sequences from the Eames' short films are included, notably their most famous film, Powers Of Ten (1977). 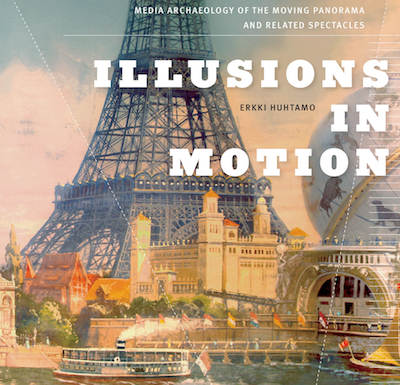 There are also clips from multi-screen installations such as the seven-screen Glimpses Of The USA (1959) and Think (1964), shown on twenty-two screens at the World's Fair in New York. Interviewees include Pat Kirkham (author of Charles & Ray Eames: Designers Of The 20th Century, and co-editor of History Of Design), and John and Marilyn Neuhart (co-authors, with Ray Eames, of Eames Design, an objective catalogue raisonne described by Ray as "a book without adjectives"). Charles Eames' daughter (Lucia) and grandson (Eames Demetrios, author of An Eames Primer) also appear. Eames Demetrios takes us on a tour of the Eames' house, and this archetypal Mid-Century Modern property reflects the different personalities of Charle and Ray Eames. The house has Modernist architecture (open-plan exterior, high ceilings, and glass walls) designed by Charles, and is filled with art and knick-knacks collected by Ray. 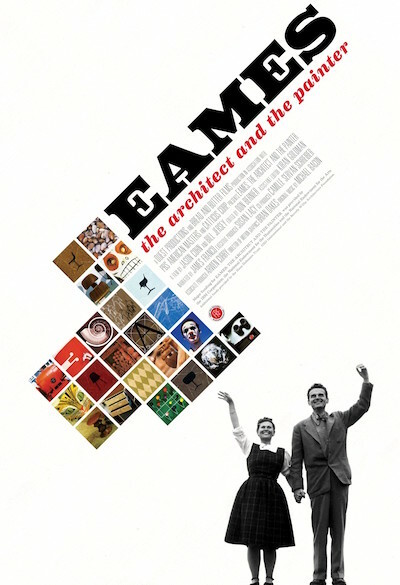 Though the Eames Office co-operated with the documentary, this is not a rose-tinted portrait of the designers. For example, art historian Judith Wechsler describes her affair with Charles Eames: "We had a very profound love for each other. He wanted very much for us to get married and have a child, and he wanted to close the Eames office". On a lighter note, architect Kevin Roche describes dinner at the Eames' house: "what they had arranged for dessert was three bowls of flowers, that they put in front of you to admire, so it was a visual dessert. I was really fucked off with that, I can tell you! I hadn't eaten much, I was saving up for the dessert. So I'm looking at these stupid flowers, saying 'What the hell's wrong with these people?' I got in my car and I drove out to the nearest Dairy Queen!" Eames: The Architect & The Painter was made for the PBS American Masters television series and first broadcast on 19th December 2011. 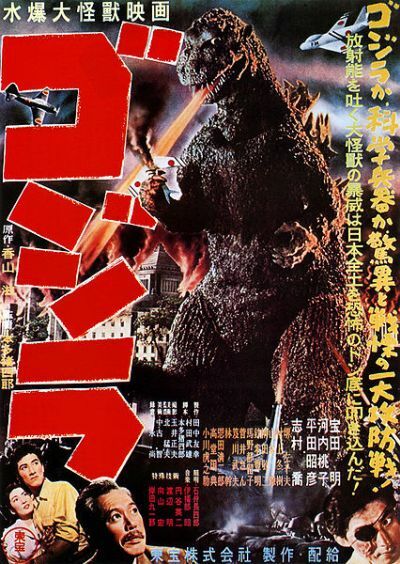 It was also released theatrically. Alfonso Lazaro de la Torre and Raul Garcia Perez, two members of the Titeres desde Abajo puppet theatre company, were arrested in Madrid on Friday and charged with promoting terrorism. 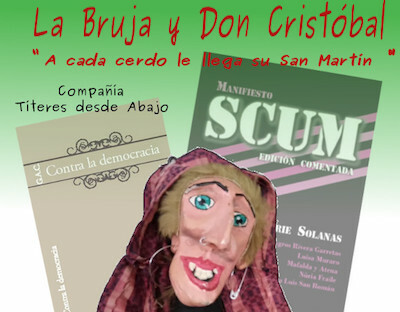 They had been performing their play La Bruja & Don Cristobal as part of a Madrid street festival, though some members of the audience complained to police that the play was offensive. The play was certainly violent (featuring, amongst other things, a nun being raped and then stabbed with a crucifix), though the puppets and their actions were not portrayed with any sense of realism. Also, the play's provocative nature is evident from the poster promoting it, which includes images of the violent SCUM Manifesto by Valerie Solanas and the anti-democratic GAC's book Contra La Democracia. 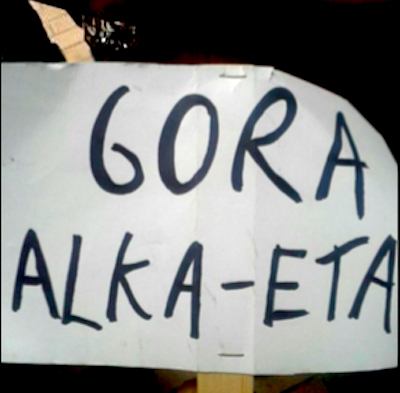 The puppeteers were arrested because the play also included a hand-held sign reading "GORA ALKA-ETA", an apparent reference not only to the Basque separatists ETA but also to the Islamic terrorists Al Quaeda. If convicted, they face up to four years in jail. 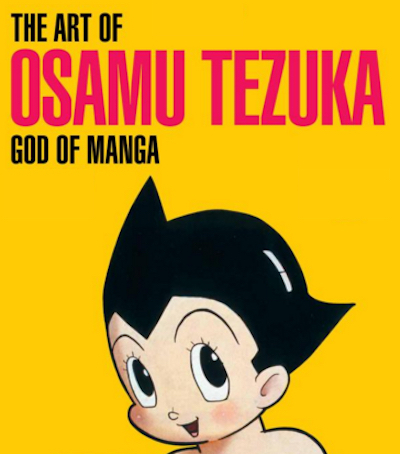 The Art Of Osamu Tezuka: God Of Manga, by Helen McCarthy, is the first English-language study of Tezuka's life and work. Tezuka is Japan's most celebrated and influential manga artist, as Katsuhiro Otomo (creator of Akira) explains in his preface: "It is no exaggeration to say that it is largely due to the genius of Tezuka... that Japanese animation and manga have developed into a form largely without comparison in the world." The Art Of Osamu Tezuka includes many rare illustrations from the Tezuka Productions archive (including, tantalisingly, an envelope containing a letter to Tezuka from Stanley Kubrick). A DVD of an NHK television documentary, Tezuka Osamu: Sosaku No Himitsu (1986), is also included. A dozen pages are reproduced from Tezuko's most famous manga, Tetsuwan Atom (known in English as Astro Boy), serialised in Shonen magazine and later adapted into an anime series for Fuji TV. Tezuka's complete manga works have been reprinted in the 手塚治虫文庫全集 series, and the earliest Astro Boy stories can be found in volume 221 (鉄腕アトム 1). The Astro Boy Omnibus series features English versions of the Astro Boy manga, translated by Frederik L Schodt, who wrote an introduction for the first volume. Schodt has also translated The Osamu Tezuka Story, a biography of Tezuka in manga form written by Toshio Ban, which will be published in English later this year. 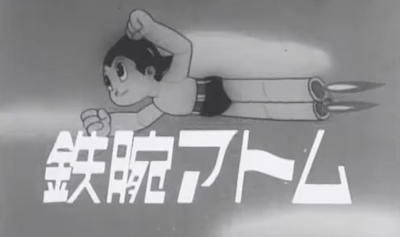 The Anime Encyclopedia (co-written by McCarthy) notes that Astro Boy is "erroneously described as the first TV anime" (for example, Maurice Horn's World Encyclopedia Of Cartoons calls it "Japan's first television cartoon serial"), and Anime: A History points out the series' limited production values: "Tezuka himself claimed to have reduced the cell count on Astro Boy down to the bare bones of 1,200 cells per episode". Despite this, Astro Boy remains the most successful manga and anime series ever created. 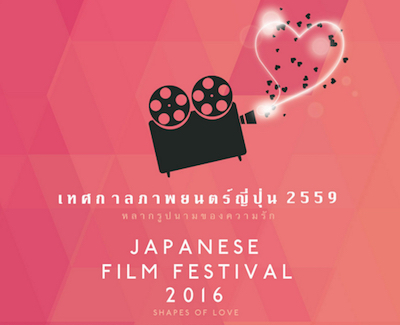 The 22nd open Air Film Festival takes place from 10th to 12th February at Silapakorn University. 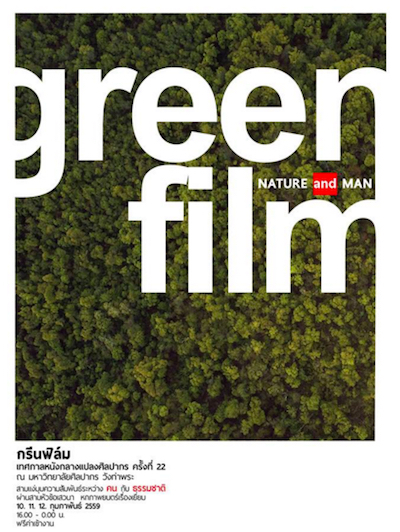 This year's theme is Green Film, with a selection of films about nature and the environment, and admission is free. 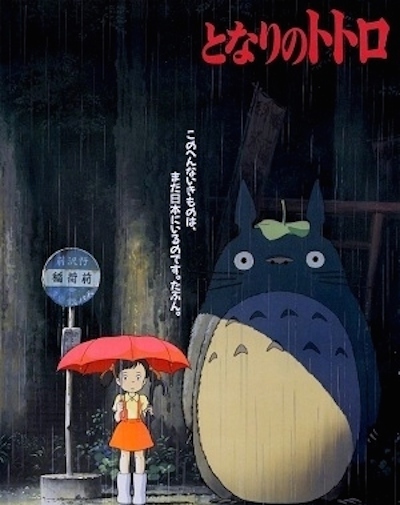 Hayao Miyazaki's My Neighbour Totoro (which, like his later Ponyo, has an environmental theme) will be screened on 10th February. 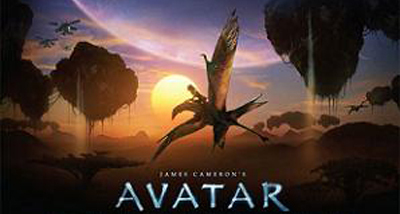 James Cameron's Avatar (the most commercially successful film ever made) is showing on 11th February in 2D. 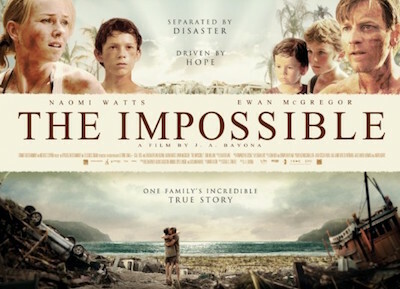 The Impossible (one of several films about the 2004 tsunami) and Ishiro Honda's classic Godzilla will be shown on 12th February. 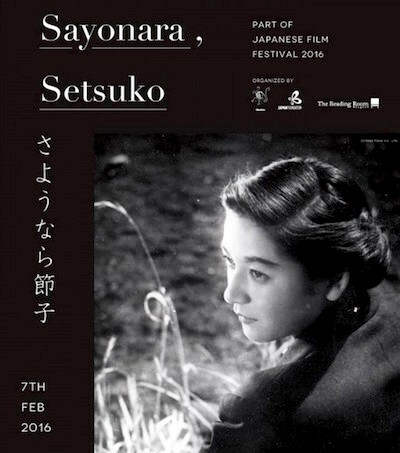 As a tribute to the veteran Japanese actress Setsuko Hara, who died last year, the Japanese Film Festival 2016 has organised a triple-bill of some of her most acclaimed performances. The films will be screened in 16mm at The Reading Room in Bangkok on 7th February. 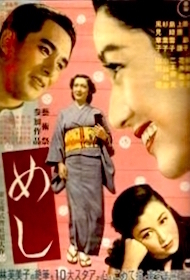 The three films are: No Regrets For Our Youth (directed by Akira Kurosawa; previously shown at the Kurosawa 100 Years Retrospective), Late Spring (directed by Yasujiro Ozu), and Repast (directed by Mikio Naruse; previously shown at the Japanese Film Festival 2008). Admission is free. 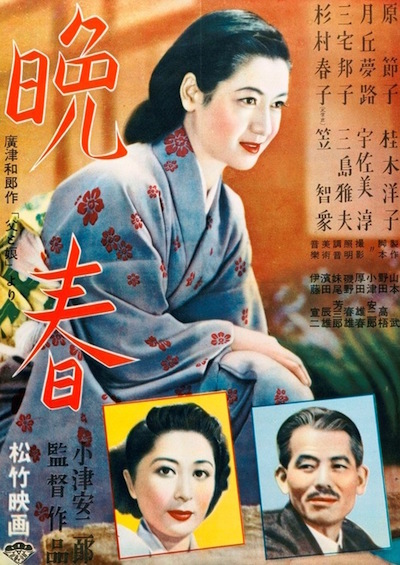 In his obiturary of Setsuko for Sight & Sound magazine, Alexander Jacoby writes: "Shortly after the death in 1963 of her frequent collaborator, director Ozu Yasujiro, Hara Setsuko announced her retirement from cinema. She was only in her early 40s, and for half a century was to live as a recluse in Kamakura... in retirement she earned comparisons with Greta Garbo, declining interviews and refusing to discuss her work in the film industry."